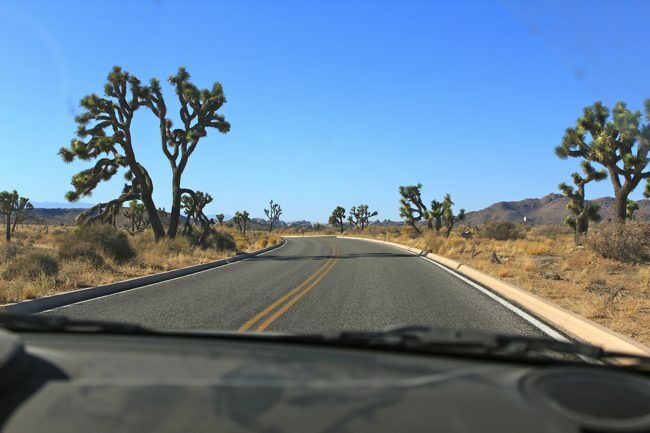 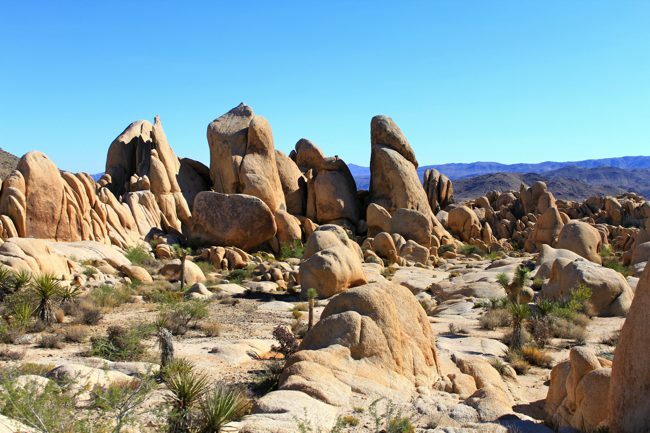 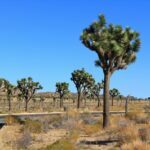 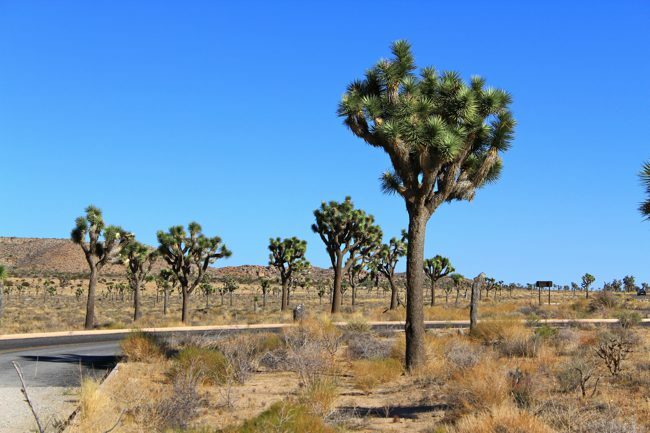 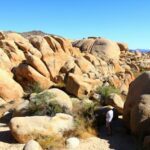 Located in Southern California, Joshua Tree National Park is a beautiful area that has thousands of acres of barren desert with many different plant life and rock formations dotting its bleak landscape. 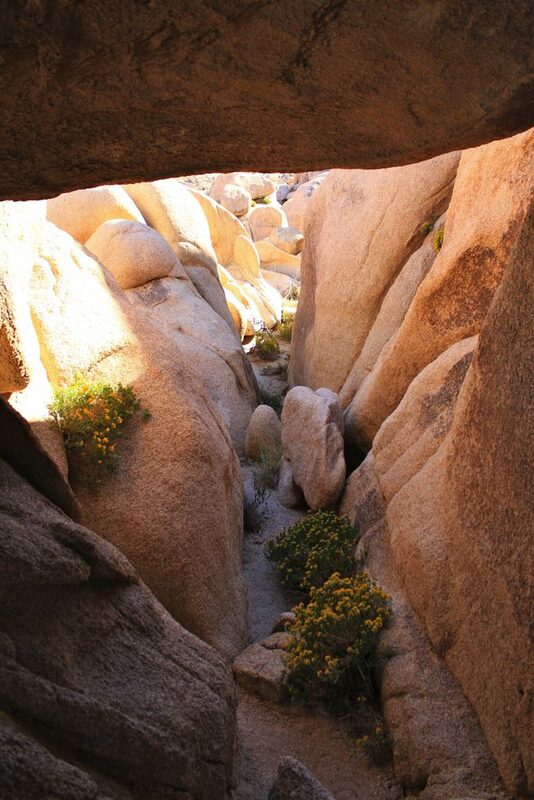 For the rock climber, hiker or adventurer it holds miles of hiking trials and vertical rock walls to scale with days of adventure to fill up your time. 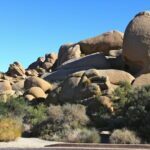 While we were there we hiked Ryan Mountain, Bakers Dam, Arch Rock, Skull Rock and the Cholla Cactus Garden. 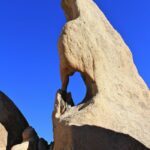 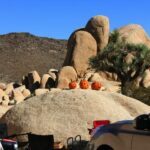 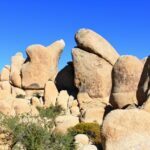 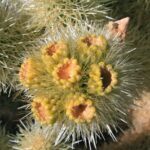 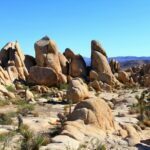 This blog is dedicated to the last three, Arch rock, Skull Rock and the Cholla Cactus Gardens as they can all be completed by driving around and just getting out of your car for a couple minutes. 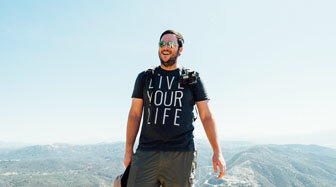 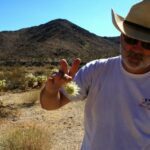 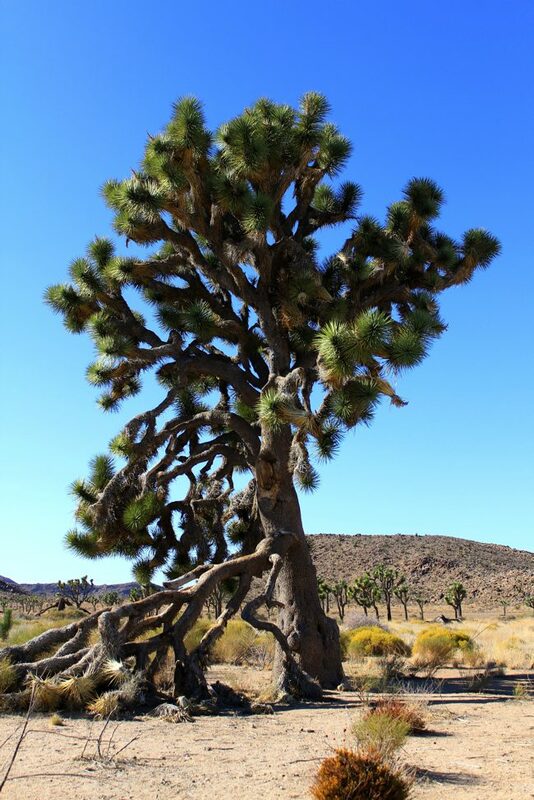 Read my updated Joshua Tree Guide here. 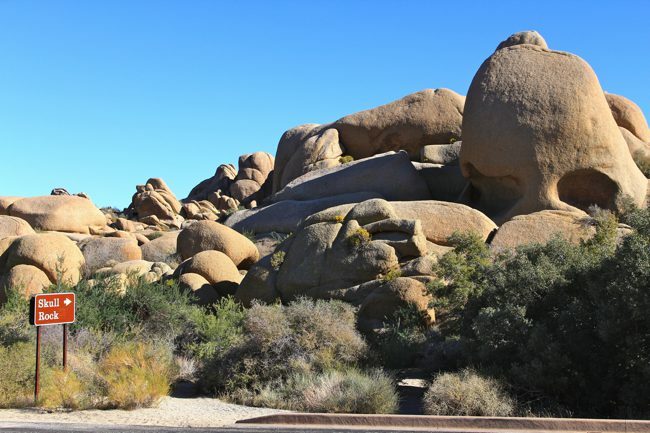 In between these trees there are many rock formations that are often climbed by the many rock climbers that visit the park. 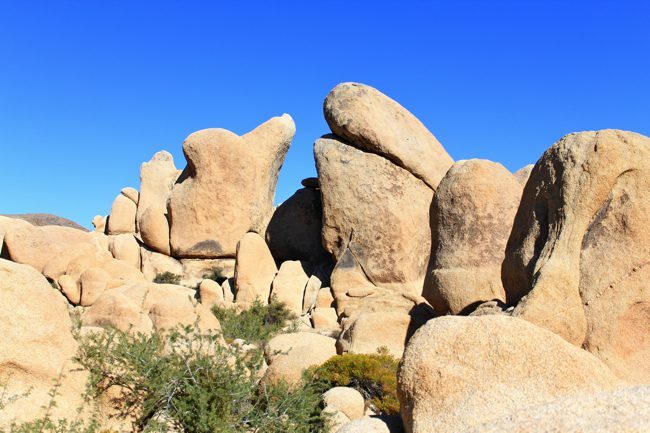 However, there are a few rocks that are their own attraction based on the way they were uniquely formed, these rocks are arch rock and skull rock. 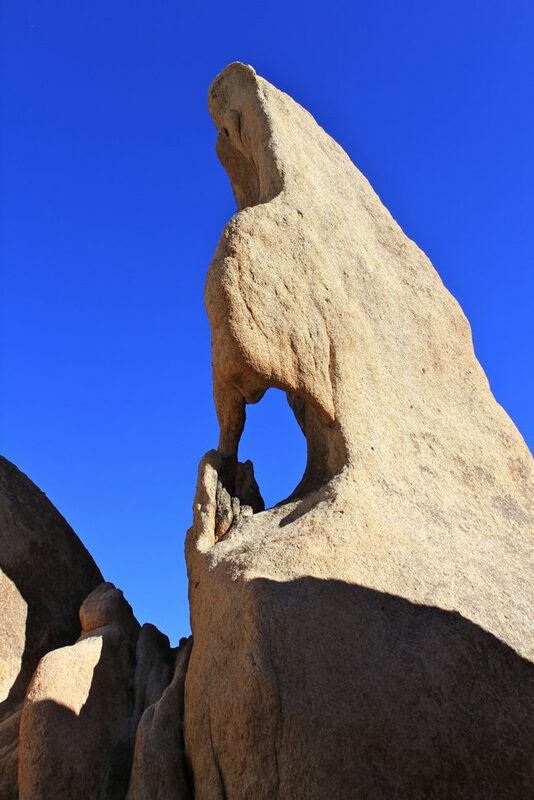 Arch Rock itself is nestled in the White Tank Campground next to site 9 and it is about a half mile walk to the rock. 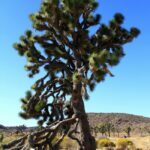 It is very easy to get to and almost everyone should have no problem with it. 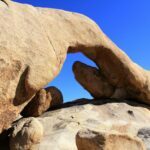 When you turn the corner and see arch rock with its 30 foot across arch resting on top of a pile of rocks it is pretty amazing. 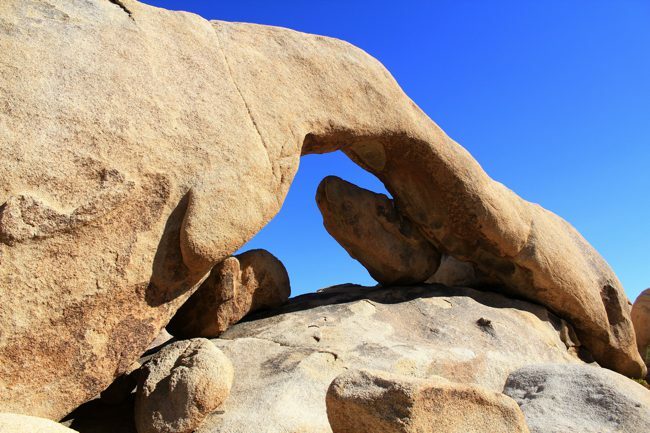 You can climb on top of the rock and even get up close for some great pictures. 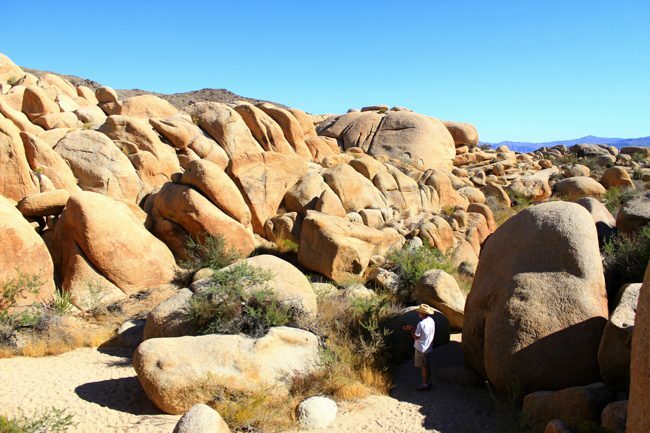 After that you simply head back the way you came to complete the hike. 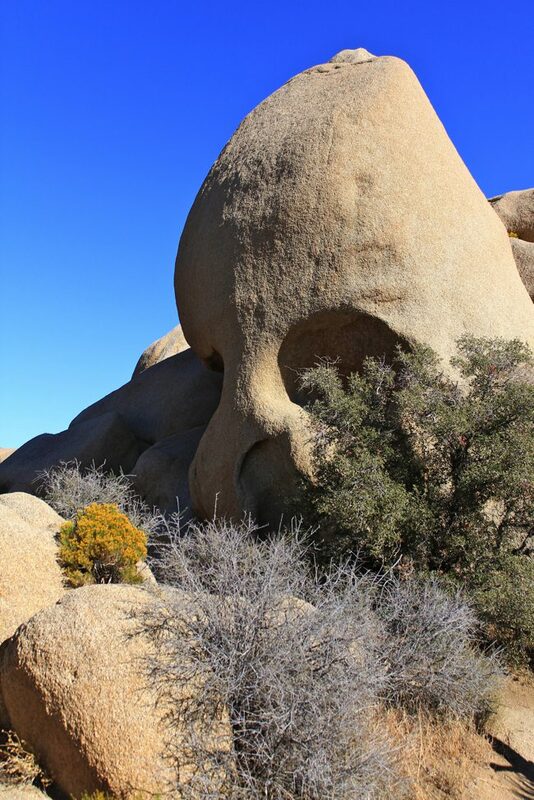 Skull rock is even easier to find, as it is located right on the main road that runs through the park. 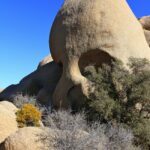 You can see it from your car and it appears like the top part of a skull with the way it is shaped. 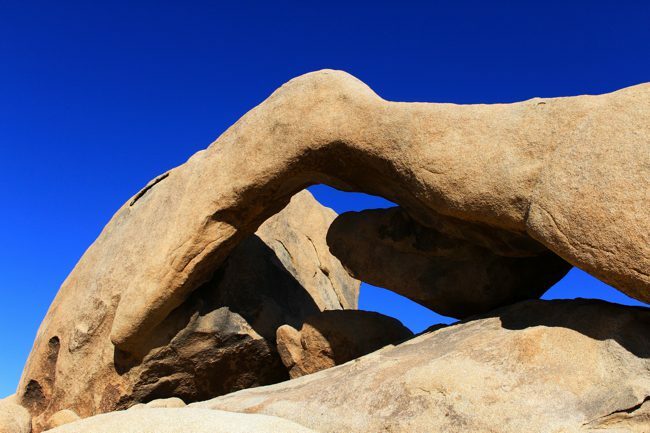 You can see the eyes and head in the picture below; however, when you get up closer and look at it head on it is hard to see the skull appearance from the rock. 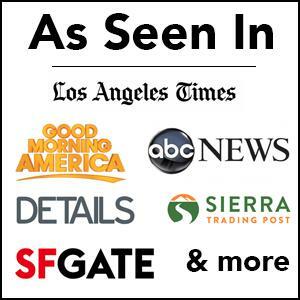 Believe me, the above information is correct. 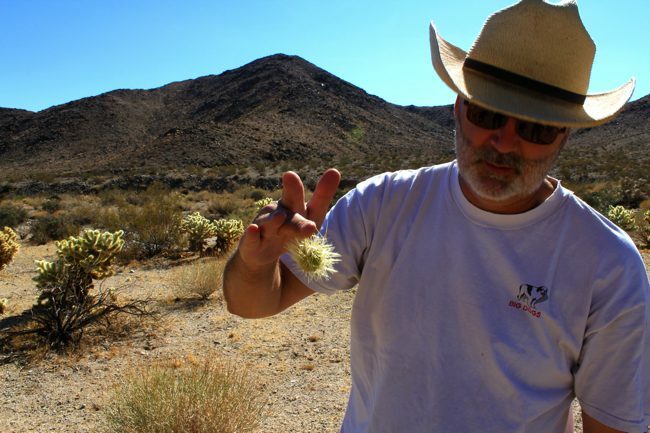 My father tried to pick up a broken piece on the ground to look at it and it completely attached to his hand instantly. 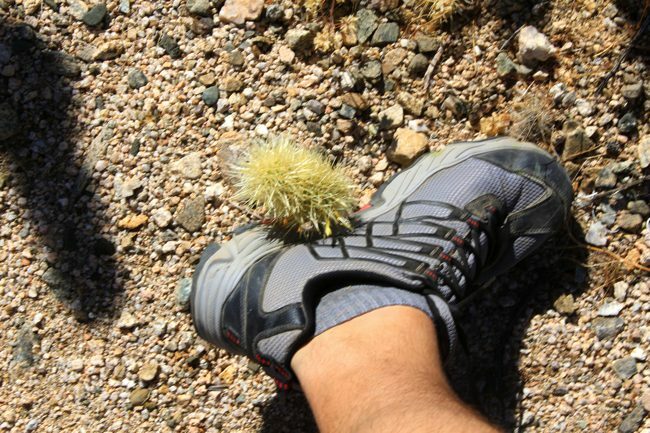 It was difficult to get out as well so make sure you only look and do not touch. 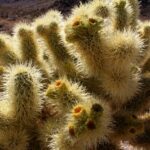 These cactus are beautiful though and they are something you do not often encounter. 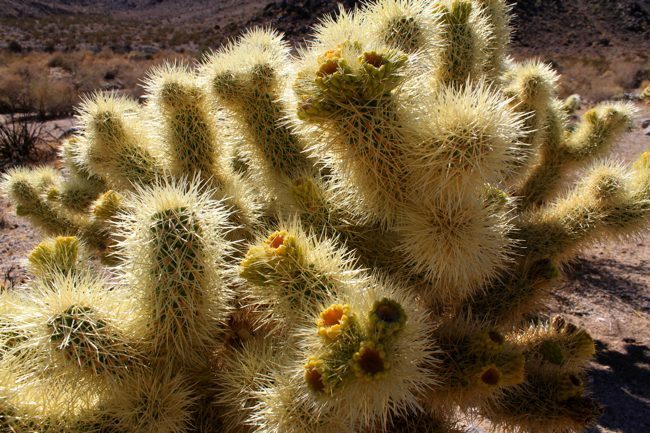 The spikes themselves are so dense that it is interesting to see there is actually a base under them. 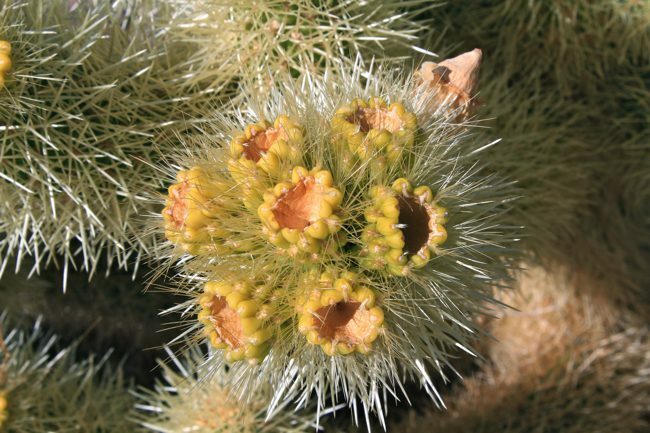 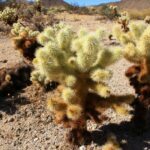 There is about 100 of these cactus in cholla cactus garden so I would recommend you go check it out. 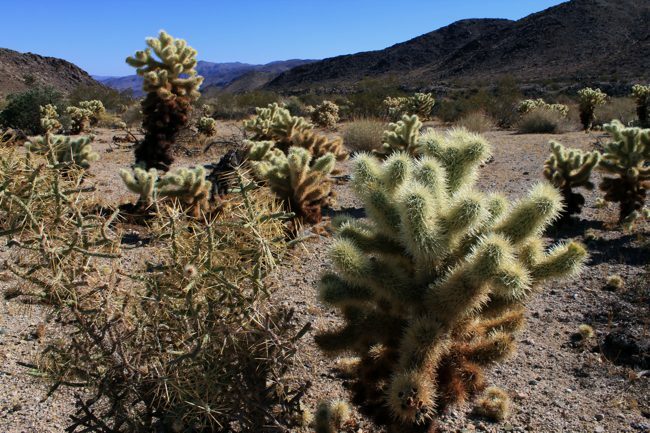 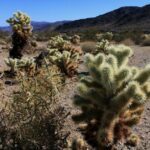 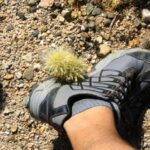 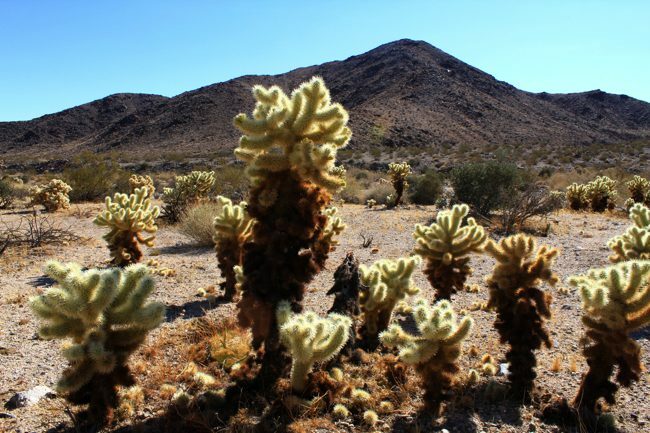 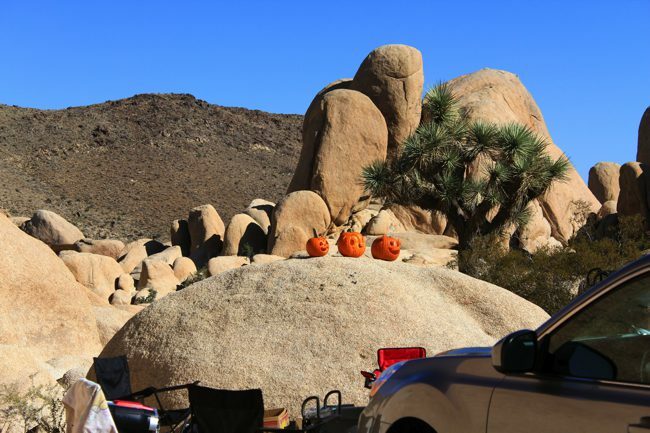 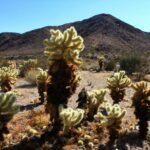 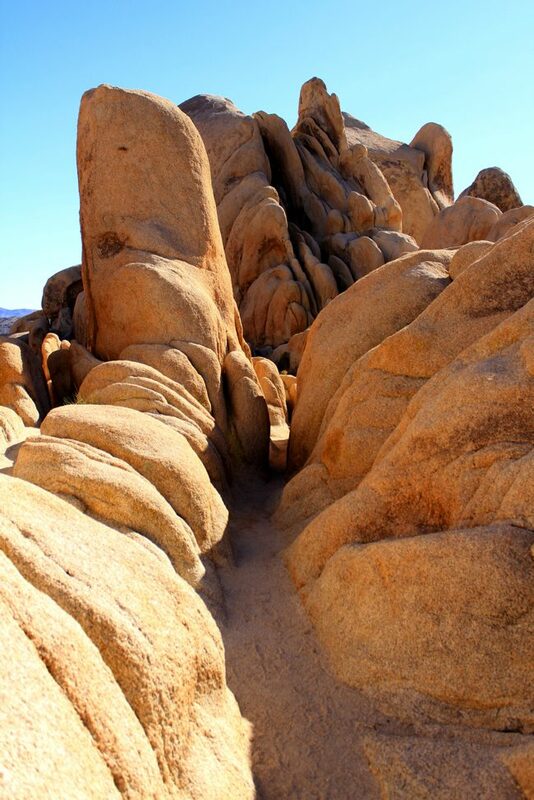 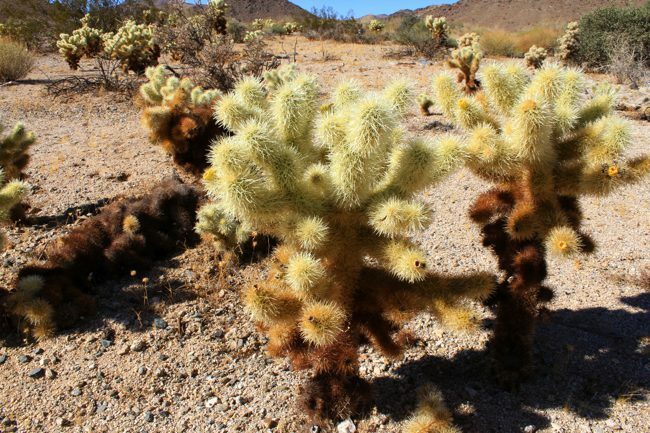 Joshua Tree National Park is a beautiful area full of many interesting things to see. 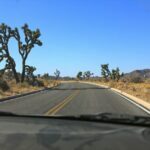 I would love to have more time to explore here and plan to come back and see more in the future. 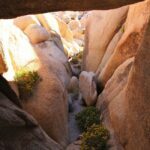 If you visit the park and only have limited time, I would check out these areas above (here is a good map to use). 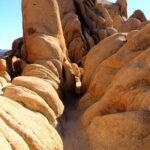 Let me know if you have other suggestions for things to see in Joshua Tree in the comments.